4 colours of recolor and my retexture. 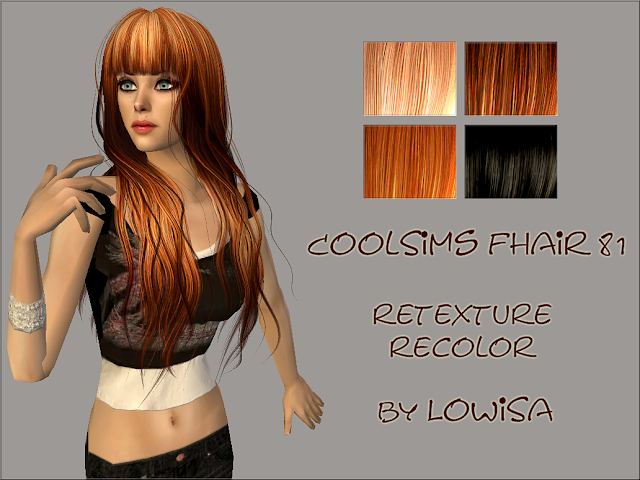 Mesh by Anto ~CoolSims is included in the file. note: Original mesh by Anto, which I included, is not working right. So I recommened you to download fixed mesh (young aduls, adults, elders) from Snapun's LJ here. But be sure that you delete the wrong one first.